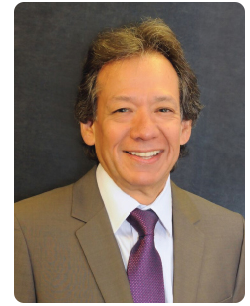 Dr. Steven Olmos has been in private practice for more than 35 years, with the last 30 years devoted to research and treatment of craniofacial pain, temporomandibular disorder (TMD), and sleep-disordered breathing. He obtained his DDS from the University of Southern California School of Dentistry and is Board Certified in both Chronic Pain and Sleep Related Breathing Disorders by the American Board of Crainofacial Pain, The Academy of Integrative Pain Management, American Board of Dental Sleep Medicine, and American Board of Craniofacial Pain and Dental Sleep Medicine. Dr. Olmos is the founder of TMJ & Sleep Therapy Centres International, with over 50 centres in 7 countries dedicated exclusively to the diagnosis and treatment of craniofacial pain and sleep disorders.